I’m back again with more of my favorite beginner patterns, this time for crochet! 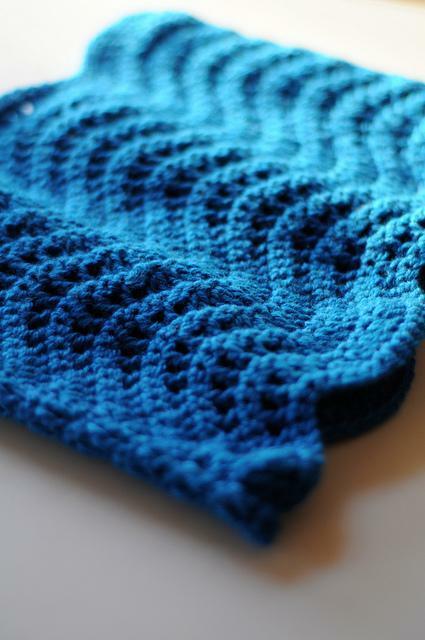 Here are five great crochet patterns to get started on this Fall. 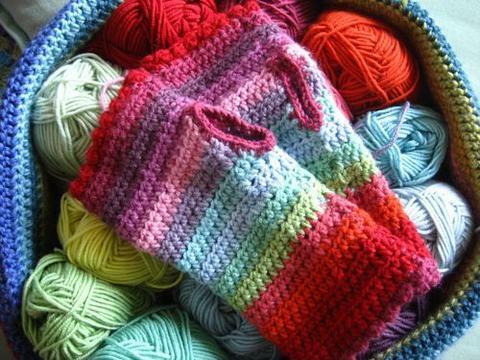 With crochet, just like with knitting, it’s best to start with super basic skills and practice them in many different ways. One of my favorite places to start is with a simple, small project that has lots of visual interest, like these hand warmers from Attic 24. If you haven’t visited this great site, spend some time cruising around - Lucy has a bright, energetic aesthetic and all of the afghan patterns are inspiring and amazing. Granny squares are many crocheter’s first projects, but I’ve found that the process of making small squares one by one and then seaming them up is a little daunting, and sometimes it’s better when you’re learning to focus on one single piece, instead of many smaller ones. That’s why I love this Augusta Shawl pattern from Manos del Uruguay - it uses granny square construction and you can play with lots of different colors and visual textures. A particular challenge I always have with crochet is counting and making sure each row is even with a clean, straight edge. I think some practice usually helps with this kind of problem and what better way to practice than with a beautiful wrap like this one by Mary Beth Temple? 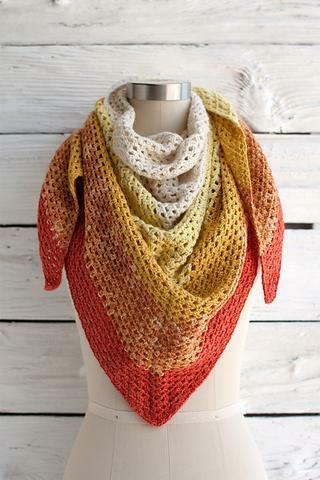 The Lubina Wrap uses three colors and three different stitches, so you’ll learn some new textures to use in other projects later. Linda Pearlman is one of my favorite crochet designers. She has excellent taste and always explains each step thoroughly. Her Craftsy classes are some of my favorites! 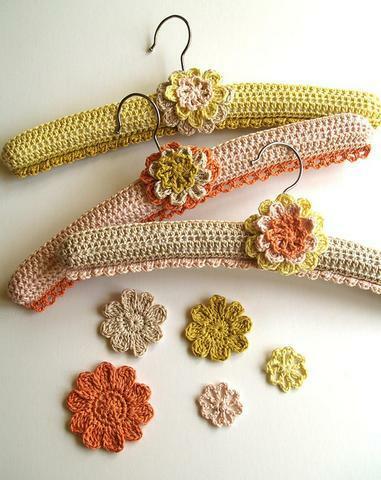 Growing up, my mom had many covered hangers - they’re amazing for slippery dresses, tops, and garments you’ve made. Hook up a few and learn some basic shaping and frilly edges with Linda’s clear instructions. Last but not least, decreases and increases are key skills in making crochet look stunning and not bulky or too ‘crafty’. Learn them quickly and easily with this Twitterpation Cowl from Maryse Roudier. I love the idea of making this in an extra-special skein of something you’ve been hoarding and want to wear close to your neck. Use the same texture and expand it larger for a ripple afghan, or make each row with minis for a fun, reversible striped look. I hope these patterns help your crocheting dreams come true and give you the confidence to tackle some of the more complicated ones in your Membership Crates! 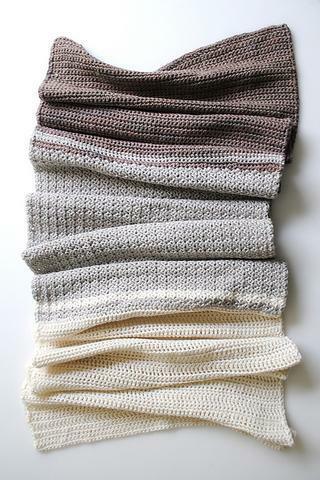 Click here to join KnitCrate!